Erika has over 20 years of leadership experience driving organizational change, optimizing costs and improving operations in the technology and financial services industries. 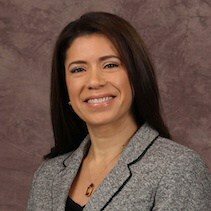 She currently serves as Chief Operating Officer for Risk and Finance Technology at Bank of America. Prior to this role, she held similar positions managing global operations for technology teams at JP Morgan Chase and Deutsche Bank. Erika is deeply touched by human suffering and joined the Board of Freedom United to help make a difference. She strongly believes that passionate individuals with a shared vision can influence meaningful change through the power of advocacy.